Charcoal Filter in the Non-Vented Model, must be replaced on regular basis. Charcoal filter is not washable. 115 AC, 60 Hz, 9 amp. 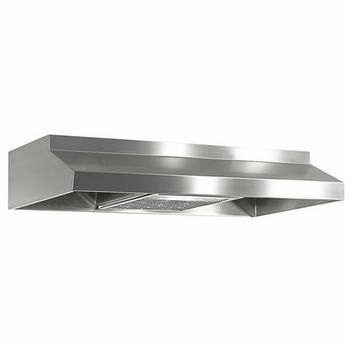 1900E Air Ring Fan 190 CFM 3.5 24"-42"
1900ENV Air Ring Fan Re-circulating 3.5 24"-42"
This under cabinet mount range hood from Imperial features a slim designed grill and a quiet 190 CFM motor. 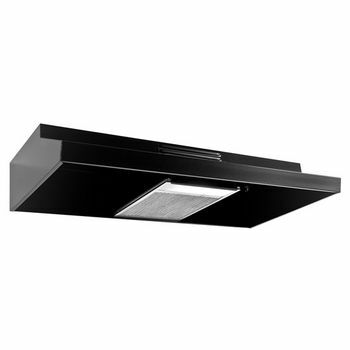 One halogen/LED light provides illumination for your cooking area. Vertical or ductless options are available. 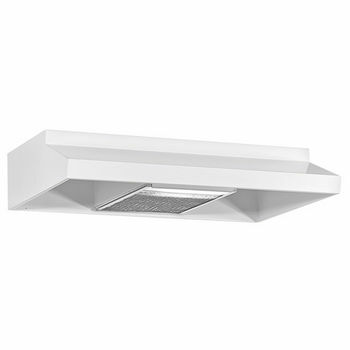 Made of 22-gauge cold rolled steel, the range hoods are available in White, Black and Stainless Steel finishes to match your kitchen décor. 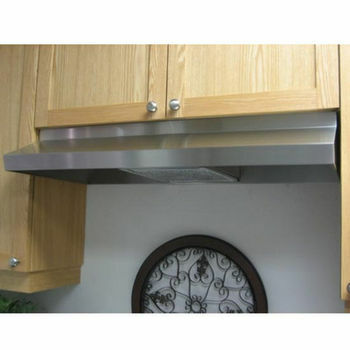 The range hoods come with dishwasher-safe aluminum filters. is installed and looks great - haven't used it much, as it's in a cabin, but when i lit a match under it the smoke ecavucated very well. Easy to install and looks sleek. I like the hidden controls for the fan and light. I would purchase this again and recommend to friends. 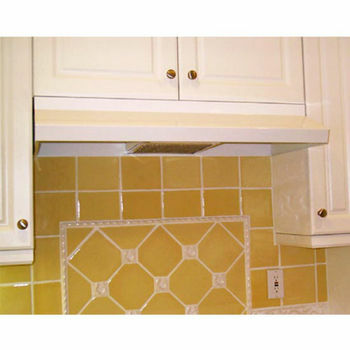 Excellent quality easy to install looks great. very quick delivery. ‘SS’ refers to Stainless Steel. Re-circulating is another word for Ductless.